Sterling Silver Plated in 18K Gold With CZ Jeweled Encrusted Bracelet. This Bracelet is 6 Inches Long With a 2 Inch Extension. Adjustable with Spring Ring Clasp. 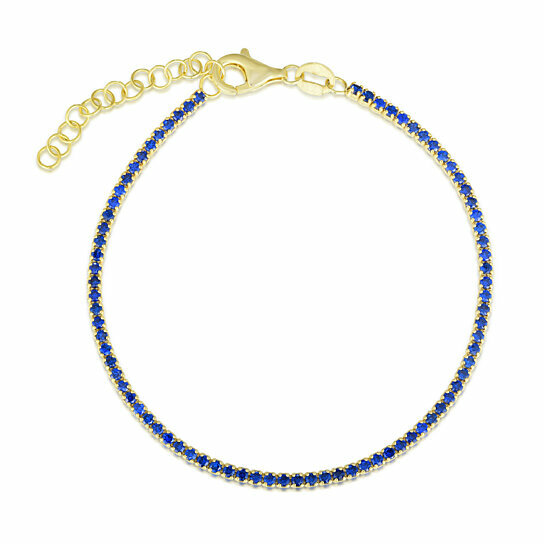 Chic and streamlined, this delicate Color Tennis Bracelet is sure to be admired. Definitely a Stackable Piece to Complete your Everyday Outfit.